Bust of a Woman in Profile. Due to its size, this pendant is not available with bicolor agate. The original engraving was described in a museum catalog as: Bust of a woman in profile. Her hair is tied with a fillet wounded three times round her head and is done up in a chignon at the nape of her neck. 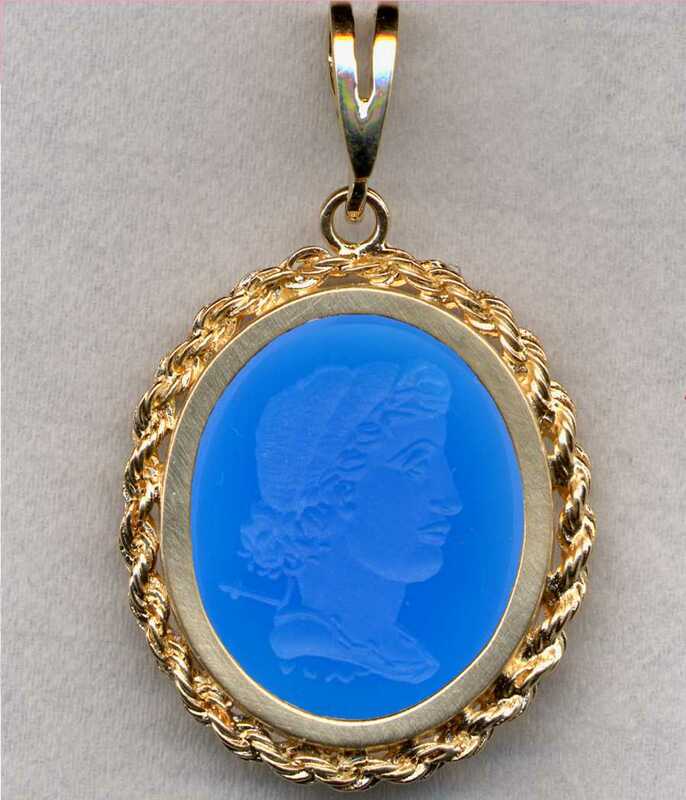 Roman intaglio. Original stone is a carnelian ringstone 16mm. Metropolitan Museum of Art. New York.